Iris is a Boutique Business Hotel. It is an integral part of Forty Two Estates which is a rapidly thriving conglomerate, headquartered in Bangalore with operations in Kannur, Dubai and New York. Conveniently set in the heart of Brigade Road, one of the biggest commercial centres and busiest shopping paradises of Bangalore. Iris Hotel opens the doors to a lively hotel experience with state-of-the-art hospitality and unrivalled business facilities for guests. With a perfect amalgam of opulent luxury, unprecedented comfort and personalised services, Iris Hotel is a preferred stop for business travellers visiting Bangalore. This hotel near MG Road, Bangalore, can be overwhelming for travellers, especially those in town on business with little leisure time at their disposal. 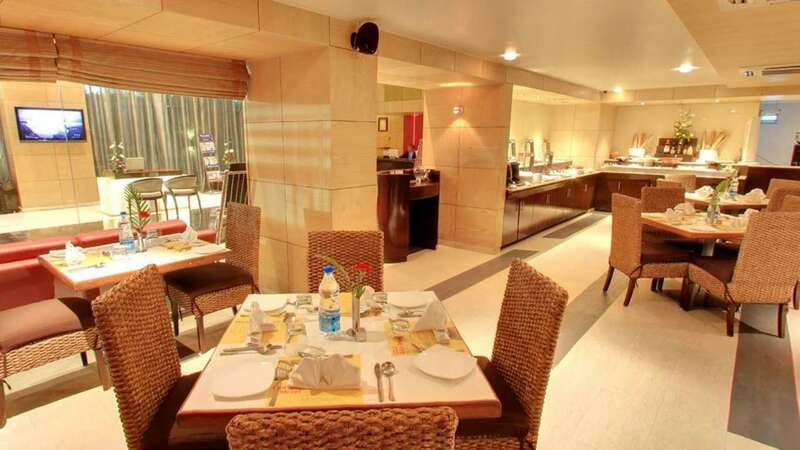 Iris Hotel is one of the best business Hotel and Spa on Brigade Road, Bangalore, where you can relax in an atmosphere of comfort and culture while being close to some of Bangalore's finest attractions. Mr. Shakeer’s name has become synonymous with excellence in hospitality services. The man behind IRIS on Brigade road, Bangalore, he has ensured that this shopping paradise and one of Bangalore’s biggest commercial centres is one of the best the city has to offer. Mr. Shakeer’s obsession with quality has ensured that IRIS Hotel is a business hotel like no other. It offers best in class experience to the patrons who endorse the state of the art facilities and unrivalled hospitality on offer. While Hotel & Restaurant conceptualization and Project planning are his core skills, Mr. Shakeer brings unmatched energy and the highest level of professionalism to everything he does. Mr. Shakeer takes care of 42 Resorts which is the hospitality division of 42 Estates along with IRIS Bangalore and 42 Green Pastures, Coonoor.